DALLAS, December 23, 2017	(Newswire.com) - Privacy and mobile phones have never been a very good combination until now. Stealth Grid has developed, tested and manufactured the first totally encrypted mobile phone in the industry and will soon launch an ICO. Pre-sale of the StealthCryptoTM ICO begins Dec. 28, 2017, with millions already viewing this IoT (Internet of Things) cyber technology at StealthCrypto.io. “Everything we do at StealthCryptoTM is designed to keep the consumer’s actions and functions private and provide the strongest cyber cloud security service available,” says Larry Castro, CEO of Stealth Grid Technology. The technology is simple yet complex by decentralizing “end-to-end” split encryption and security. Private files are compressed and split encrypted prior to being uploaded by a proprietary Dynamic Geo-DistributionTM throughout data-at-rest and data-in-flight so the consumer can trust that all files, large or small, are sent securely. The StealthCryptoTM phone will be the most secure phone and every app will be approved and downloaded from a secure StealthCryptoTM site. Unlike most cell phones, the StealthCryptoTM phones feature a built-in privacy control center giving users full and total access to their phones. One of the features is a virtual wallet which allows several exchanges and wallets to be downloaded based on authorization protocols. The phone is built for the cryptocurrency market with IBE (Identity-Based Encryption) and split encryption authentication integration. “StealthCryptoTM’s initiative is to protect end-user privacy with end-to-end encryption for email, phone calls, video conferencing, messaging and cloud storage,” says Castro. People may remember that Stealth Grid partnered with MVP Asia Pacific on Smart City technology and is ramping up their hold on cybersecurity solutions. StealthCrypto™ provides a proprietary, quantum secure blockchain solution, utilizing a multi-layer approach on the endpoints, dynamic split encryption and Dynamic GeoDistribution™, eliminating the setup and management challenges associated with certificate-based solutions. StealthCrypto™ can be scaled to levels required for massive deployment characteristic of the Internet of Things and Blockchain and protect billions of devices and transactions with ease. 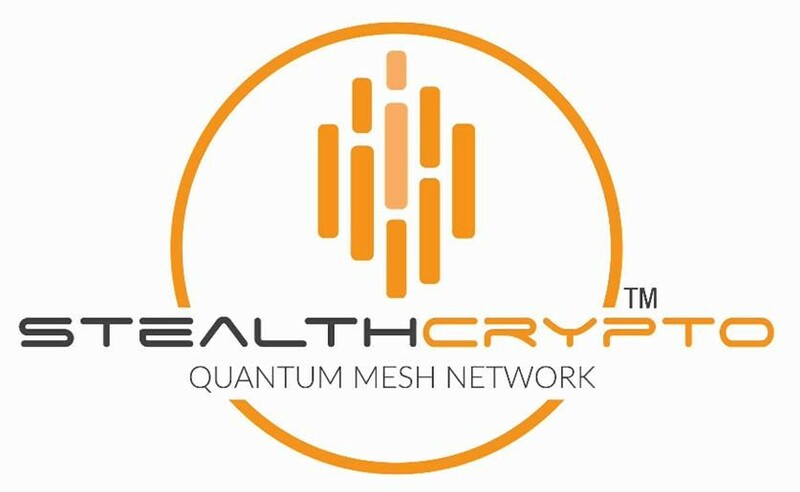 The StealthCrypto™ ecosystem provides products based on quantum secure blockchain technology for cloud storage, data protection, email, instant messaging, video conferencing, voice calls, mobile, AI cybersecurity and the StealthCrypto™ smartphone, all on its quantum mesh network and its Qubit Blockchain™. All cryptocurrencies depend upon elliptic curve public-key cryptography (ECDSA) to generate digital signatures which allow transactions to be verified securely. The most commonly used signature schemes are ECDSA, DSA and RSA. All these schemes are theoretically vulnerable to quantum computing attack. Qubit Blockchain is being developed to be quantum computer resistant and to provide transactions speeds untouchable by other blockchains.